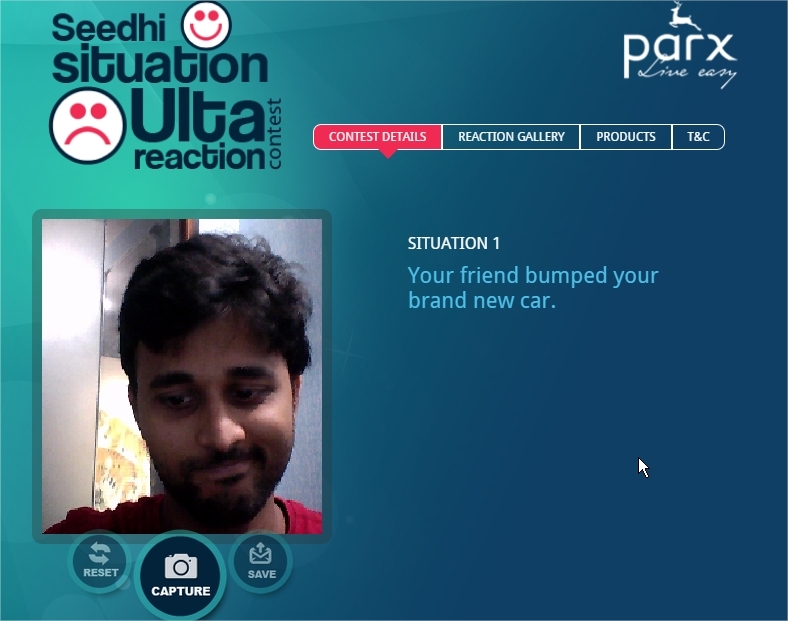 Facebook Webcam App developed with MRM WorldWide, India for Parx Live Easy. 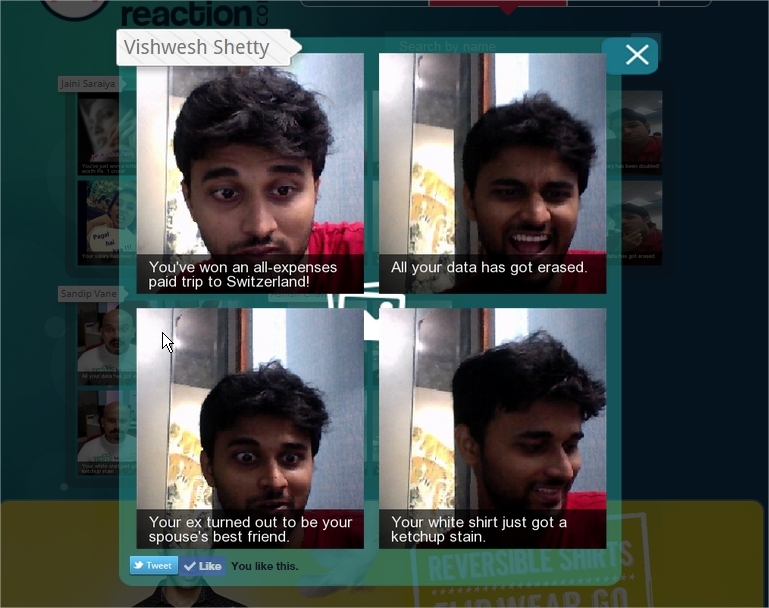 In the app, a user is randomly given a set of scenarios (2 for Video entries, 4 for Photo entries) to which he needs to give ulta (reverse) reactions. For example, if the situation is – You’ve won a lottery worth Rs. 50 crore, the user has to act SAD! The webcam submission is implemented using Flash on Desktop and HTML5 for Mobile. People accessing app through Mobile devices are automatically redirected to the Mobile version of the app. The 4 photo entries submitted by user through photo upload or webcam are stitched together using PHP GD Library. The Video entries are played back using HTML5 Video. Technology Used: HTML5, Flash, PHP GD Library. 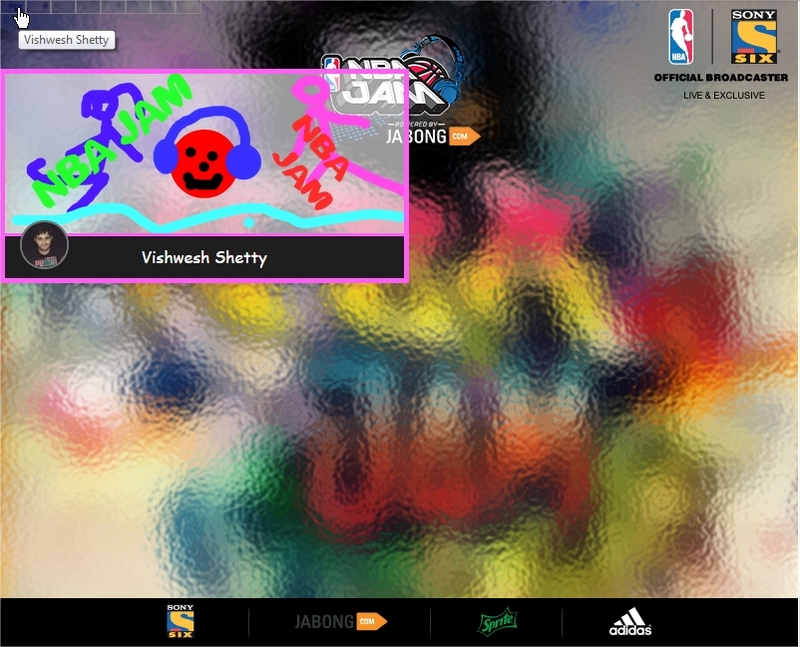 Graffiti Facebook App developed for Sony Six NBA JAM with WATConsult. 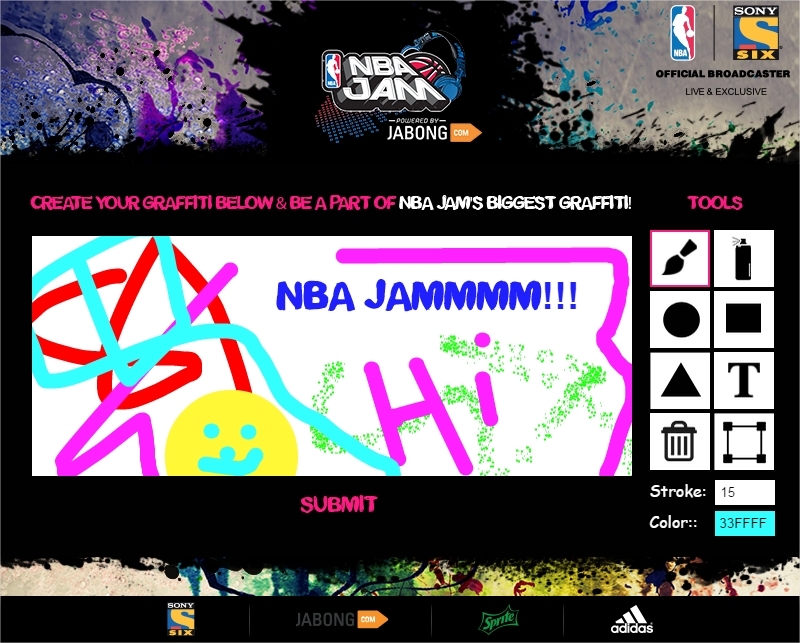 The app lets user to draw Graffiti on a canvas using various tools. 1) Free hand pencil brush. 3) Shapes like Square, Triangle & Rectangle. 7) Re-size and rotate drawing components. The canvas drawing uses fabric.js plugin which is built on HTML5 technology. The graffiti’s submitted by user are saved as an image on the server. 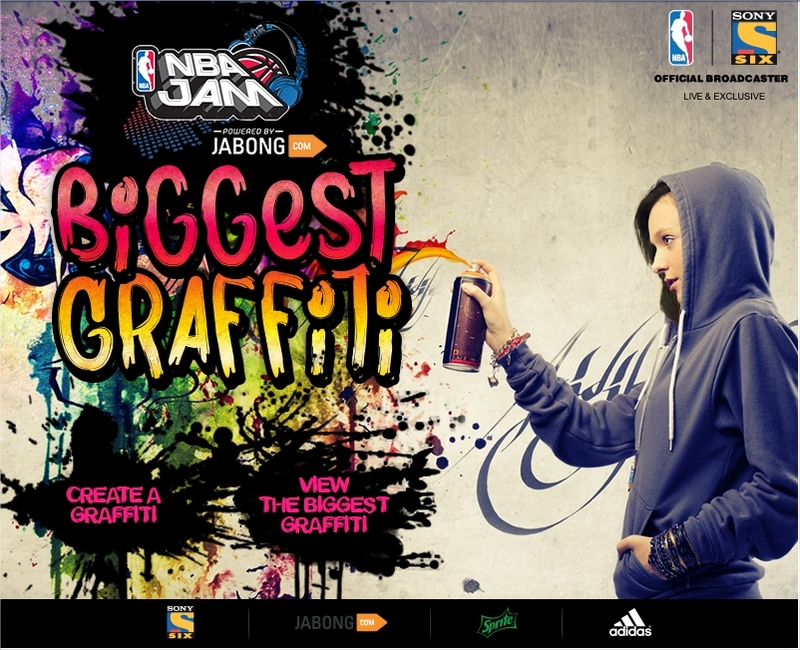 Based on the number of submissions the the final Graffiti is revealed, with each block on the final Graffiti composed of user created Graffiti’s. Technology Used: HTML5, PHP GD Library. Flipbook Facebook app developed with Think Why Not for the new book release “The Journey Home” about Richard S. The App is a virtual comic flipbook with sound. Each page has a separate background music along with the background music certain elements of page also have their own sound which the user can hear once he hovers over these objects.